Starting a luxury home remodeling project at your house in the Mesa or Sun Lakes, Arizona, area can be both exciting and maybe a little scary. After all, you have likely been saving for the renovation, and you want to make sure your investment pays off with the home makeover you’ve been dreaming about for years. That’s why many homeowners will hire a design and build firm to manage their project. Design and build companies are unique in that, unlike general contractors who only install products, they have a team of professional designers that can help you visualize a new look and new functionality for your home. If you have some ideas on what you’d like in your remodel but are unsure about other areas, these designers have a wealth of industry knowledge to provide you with options. Homeowners in Mesa and Sun Lakes, AZ, who are considering a luxury home remodeling project can turn to Premier Kitchen & Bath. We’re a professional design and build firm that has been providing beautiful home renovations for our numerous customers in the area since our founding in 1994. 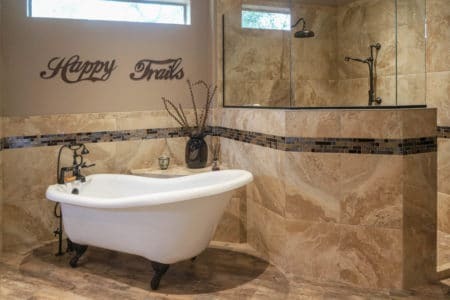 What makes us unique among other firms in the area is our four-step process of designing and refining your remodel – we’ll take your initial ideas and then expand upon them with our own suggestions to create a personalized design that is truly one of a kind. When it comes to installation, you can expect only the best products and top-notch service. For instance, we install Omega cabinets to add a sophisticated look to your new kitchen, and we can modernize your bathroom with fixtures from Kohler, one of the most well-respected manufacturers of home improvement products in the industry. Our technicians will complete your luxury home remodeling project without flaw, and we’ll back their craftsmanship with a five-year warranty. 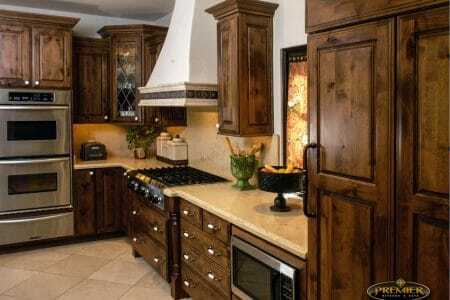 To learn more, contact Premier Kitchen & Bath, a leading design and build firm serving Mesa and Sun Lakes, AZ, today.